Do you want to get more organized with your shopping list while saving money? 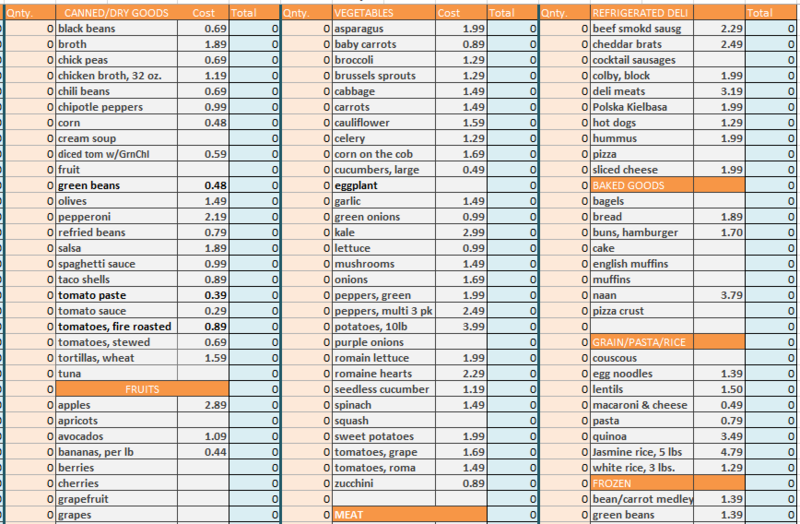 I created this Aldi grocery spreadsheet to help you do just that. It contains prices for over 100 commonly bought items at Aldi with room to add more. Or swap out the ones you don't buy for ones you do! 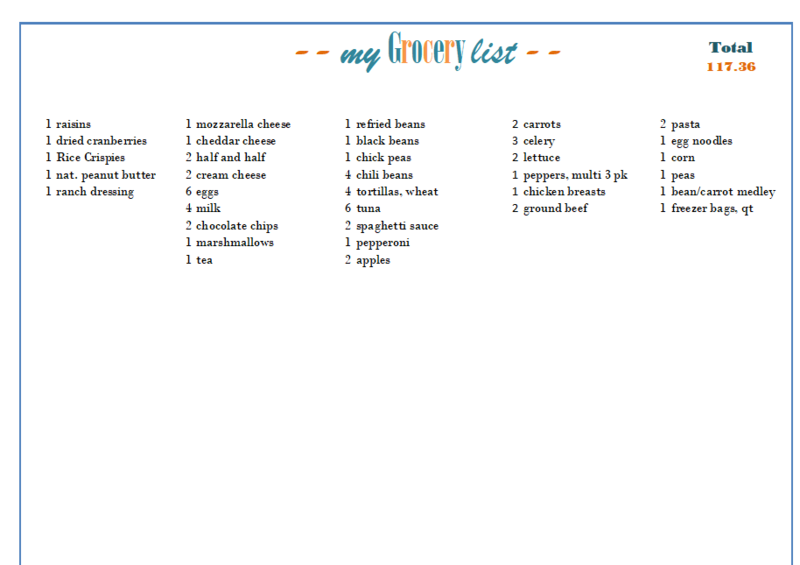 You can easily make new grocery lists while at the same time keeping track of how much you are spending. Add or remove items. Change the quantity. The fields that have a quantity in them will change color so that you can easily see what items you've already added to your grocery list. A running total will be kept in the upper right hand corner. Aldi prices vary, but not by a lot. You can easily keep a few receipts and change the cost per item to reflect what you're paying at the store you usually shop at. 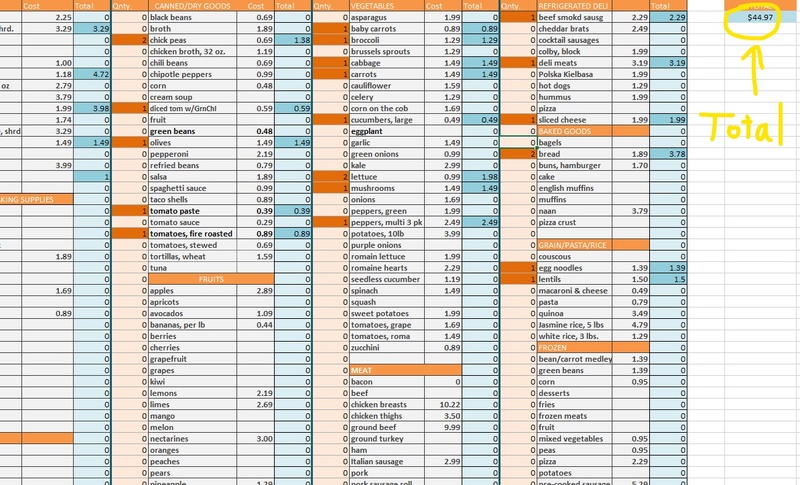 If you generally shop at a different grocery store, you can use this spreadsheet for those stores as well. Just change the prices to what you usually pay. A grocery list will be generated for you that you can print and take with you to the store. The total price will show in the upper corner. If you know what price you're shooting for, you're much less likely not to add impulse purchases. I love to see how close I can get to the price on the sheet. Try it out and see how much money you'll save on your first trip! 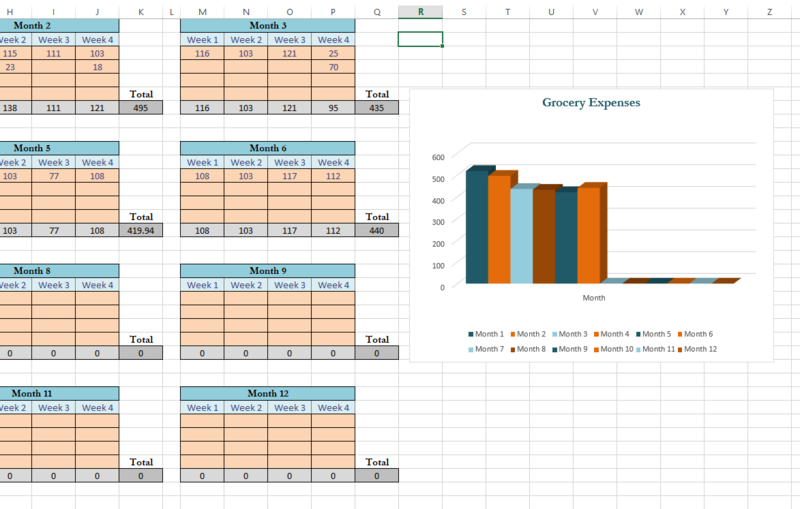 Track your expenses and see how much you save. There are multiple places to add data for each week. Because we all have those weeks where we seem to run to the grocery store every other day.